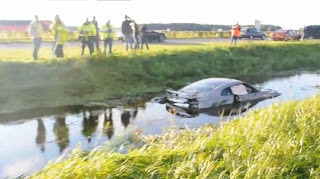 Hmm, there's something strange about the videos after the jump...could it be that the Nissan GT-R landed in a shallow stream after the driver lost control in Amsterdam, Holland. 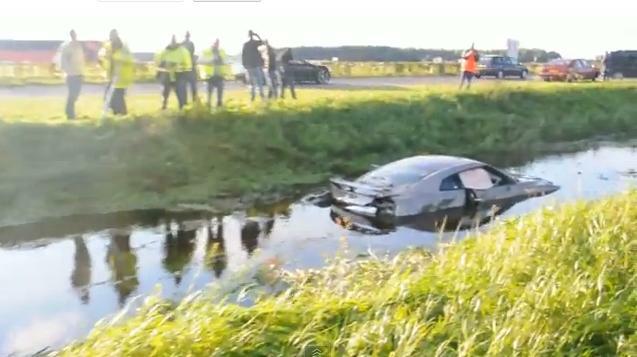 Local media report that the driver was finishing up from a close-by track day when, for some unknown reason, lost control of the supercar. Thankfully no-one was hurt in the accident. Wash watch the two videos after the break.